Over the past few decades, the areas inhabited by the few thousand High Arctic walruses and the more numerous Central and Low Arctic population have shrunk and continue to do so. As the climate warms and sea ice recedes, interaction with industry and tourism is increasing. These threats, layered upon ongoing harvesting, led the committee to recommend a status of Special Concern for both populations. Canada has already lost one of its three populations of Atlantic Walrus. Once abundant in ocean waters of Atlantic Canada, including the Gulf of St. Lawrence, the animals were hunted to extinction by 1850. The two surviving populations rely on Canadian Arctic marine habitat and have coexisted with Indigenous peoples for millennia. According to marine mammal expert and COSEWIC member Hal Whitehead, "The walrus is a most unusual and distinctive mammal of the northern seas. 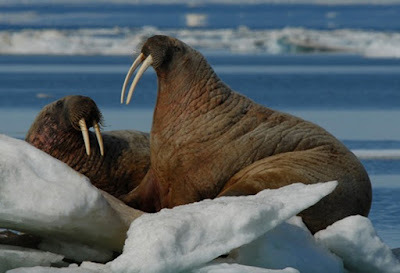 Walruses have been very important to the Inuit, both as food and in their culture, and they remain so today. Walruses are particularly sensitive to disturbance, and certainly deserve special attention." Many caribou populations have previously been assessed by COSEWIC, but the committee considered the Eastern Migratory Caribou for the first time. The famous George River herd in Québec and Labrador numbered over 800,000 in 1993, but the numbers have now fallen to an unprecedented low of a few thousand animals. A second major herd is also in serious decline. The committee therefore recommended Endangered status. Graham Forbes, co-chair of COSEWIC's Terrestrial Mammals Subcommittee, stressed the sensitivity of caribou to human activity, a condition complicated by rapid northern climate change: "Shrubs increasingly cover landscapes that were once dominated by lichen, caribou's major winter food source, and overharvest continues. We are worried that these factors may make it very hard for herds to recover." Parts of Canada's North are warming faster than anywhere else in the world, and the number of northern species at risk is rising. 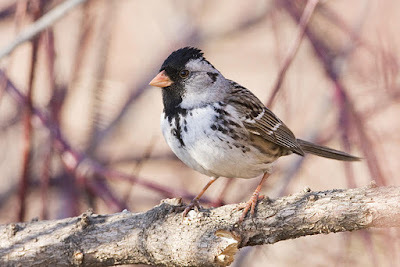 Over half of these at-risk species are currently assessed as being of Special Concern, meaning measures to address climate change and good management of hunting, disturbance, and development are needed to prevent their status from deteriorating to Threatened. Yukon Fish and Wildlife Management Board Chair, Frank Thomas, highlighted the need to coordinate efforts toward this goal: "Local communities, through the work of management boards, play an important role in the conservation of Canada's northern biodiversity. We all need to work together." Eric Taylor, Chair of COSEWIC, echoed Mr. Thomas' call to action: "Canada's biodiversity is at risk from coast to coast to coast, and timely action on many fronts is required, from dealing with habitat disturbance and overharvesting to concerted efforts to combat the effects of climate change." COSEWIC's next scheduled wildlife species assessment meeting will be held in November 2017. COSEWIC assesses the status of wild species, subspecies, varieties, or other important units of biological diversity, considered to be at risk in Canada. To do so, COSEWIC uses scientific, Aboriginal traditional and community knowledge provided by experts from governments, academia and other organizations. Summaries of assessments are currently available to the public on the COSEWIC website (www.cosewic.gc.ca) and will be submitted to the Federal Minister of the Environment and Climate Change in fall 2017 for listing consideration under the Species at Risk Act (SARA). At this time, the status reports and status appraisal summaries will be publicly available on the Species at Risk Public Registry (www.sararegistry.gc.ca). At its most recent meeting, COSEWIC assessed 33 wildlife species in various COSEWIC risk categories, including 9 Endangered, 3 Threatened, and 13 Special Concern. In addition to these wildlife species that are in COSEWIC risk categories, COSEWIC assessed 1 wildlife species as Extinct and 5 as Not at Risk. An additional 2 were found to be Data Deficient.